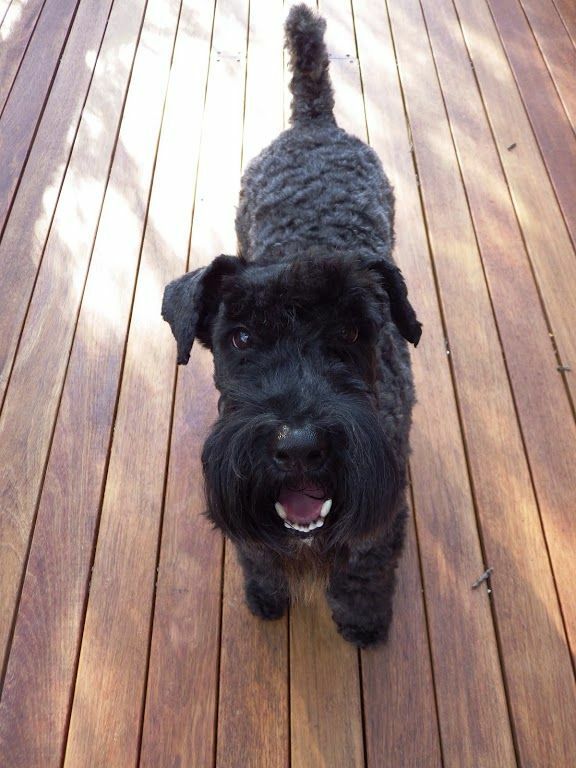 Mala is such a talented and cheeky girl. 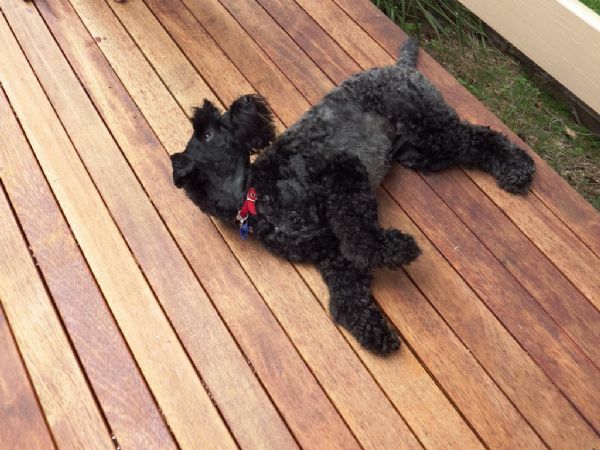 She is the first Kerry owned by Rose & John and has certainly stamped her paw print on their hearts. 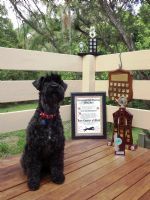 She is the first Kerry Blue Terrier to achieve her Lure Courser of Merit title in the club’s history and she certainly achieved this in a very short time. 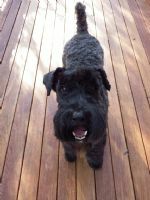 Mala started lure coursing on the 17 June 2012 at the age of 16 months as a Novice. She moved up to the Intermediate class on the 8th July 2012. She then moved up to the Open class on the 30th Sep 2012. 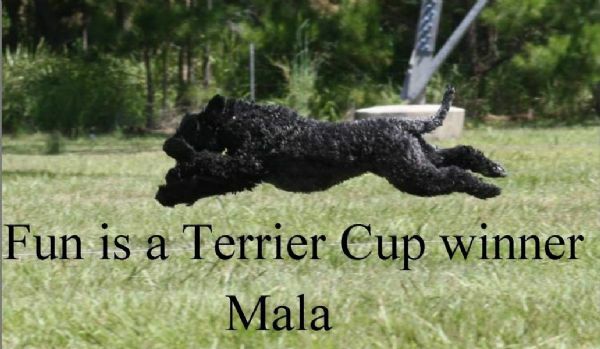 3 races and 6 weeks later, Mala became a Field Champion. 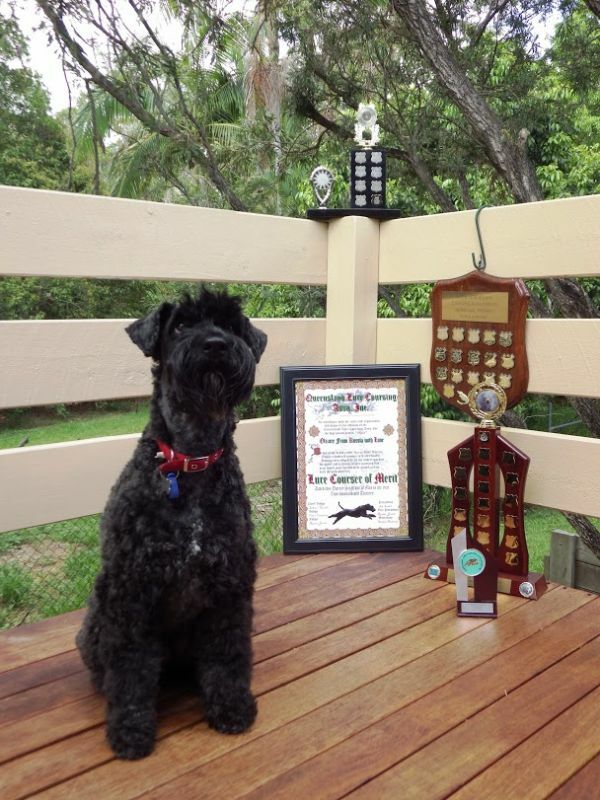 In 2013, Mala won the Milo Memorial Trophy (Top Terrier in Warwick), and also achieve her Lure Courser of Merit title. 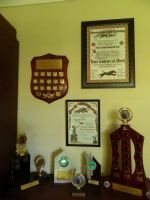 This was achieved within 3 months of becoming a Field Champion. 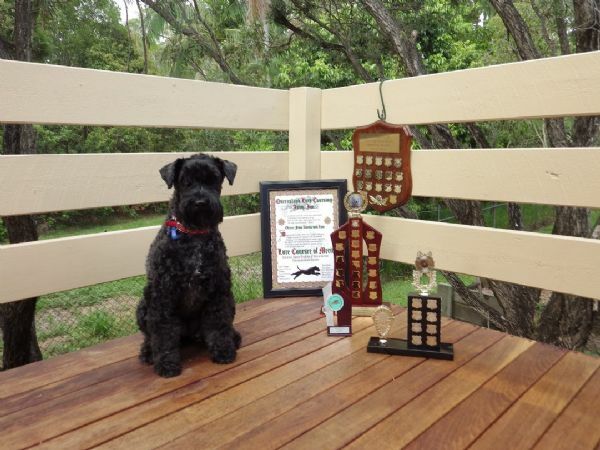 She then finished 2013 as Top Terrier 2013 & 1st Place Kerry Blue 2013 - A great achievement. 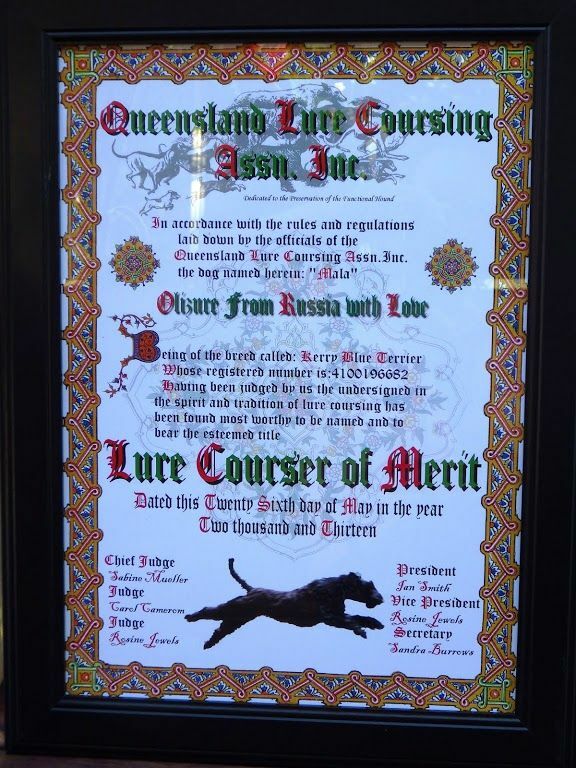 What is Lure Coursing - In an official Lure Field Trial, the dogs are released and they follow/chase the lure around a set course which contains turns and straights. 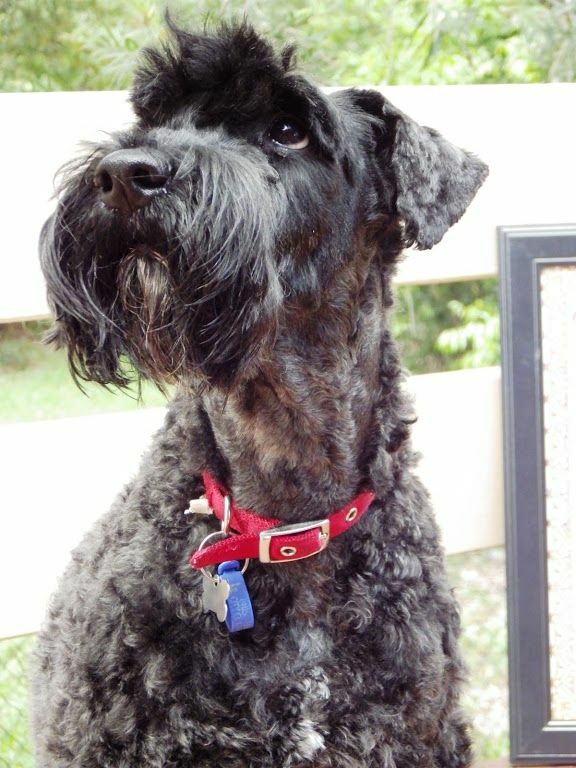 Each dog is scored on each of the following - enthusiasm, follow, agility, speed and endurance. After the scores for each category are totalled at the end of the day (each dog is run twice) prizes are awarded to the 1st, 2nd and 3rd dog in each breed, with the overall winner of the day getting special recognition. 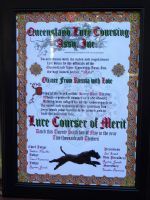 These points then go towards the title of Field Champion and for those dogs that already have that title, the title of Lure Courser of Merit – the top award in Lure Coursing. 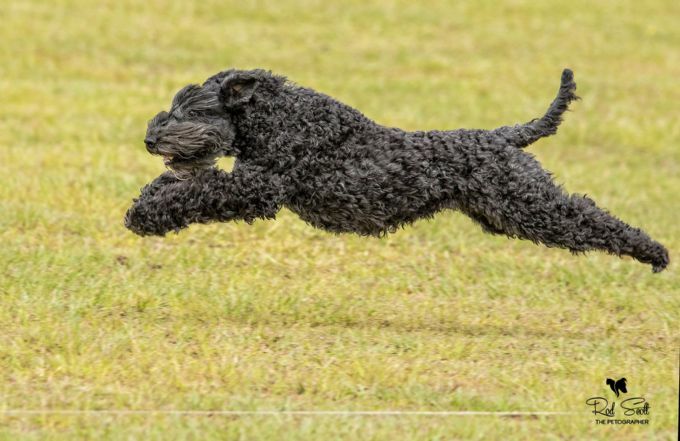 Dogs start coursing in the Novice class and need to score 150 points or more in 2 consecutive races or 145 points or more in 3 consecutive races to move to the Intermediate class. 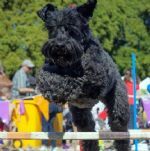 Dogs in Intermediate class need to score 160 points or more in 2 consecutive races or 155 points or more in 3 consecutive races to move up to Open class. 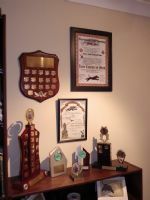 Dogs in Open, need to score 170 points or more in 3 races over 12 months or 165 points or more in 5 races over 24 months to be awarded a Field Champion. Field Champions can be downgraded if they have less than 155 points in 3 consecutive races. Once the dog has become a Field Champion, they need to score 175 points in 3 races or 173 or more in 5 races without a time limit, in order to become a Lure Courser of Merit. 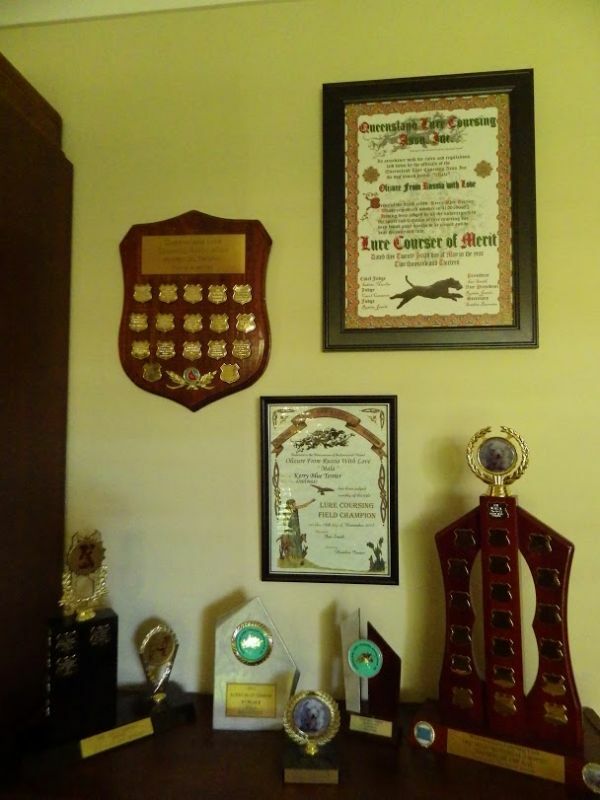 As a Kerry is not a traditional breed used for coursing, it was expected that it would take Mala many races in order to achieve this award, as so many dogs can wait years to get that final good run. Mala knew better. 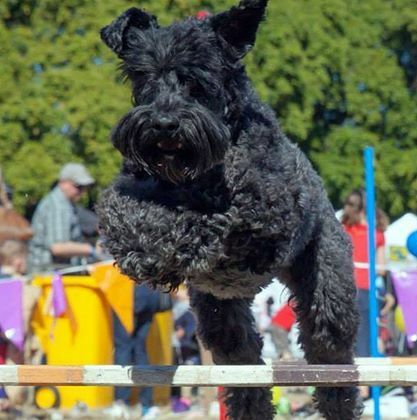 Mala has also dabbled in obedience and Rally-O and now more recently, Agility (see pic below), so who knows what the future holds for this very talented Kerry. 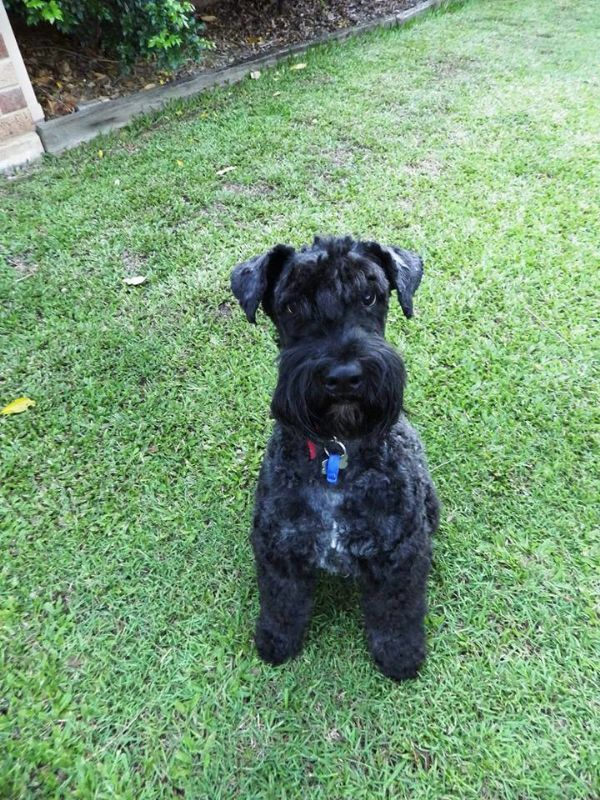 We are so very proud that we bred this gorgeous girl. 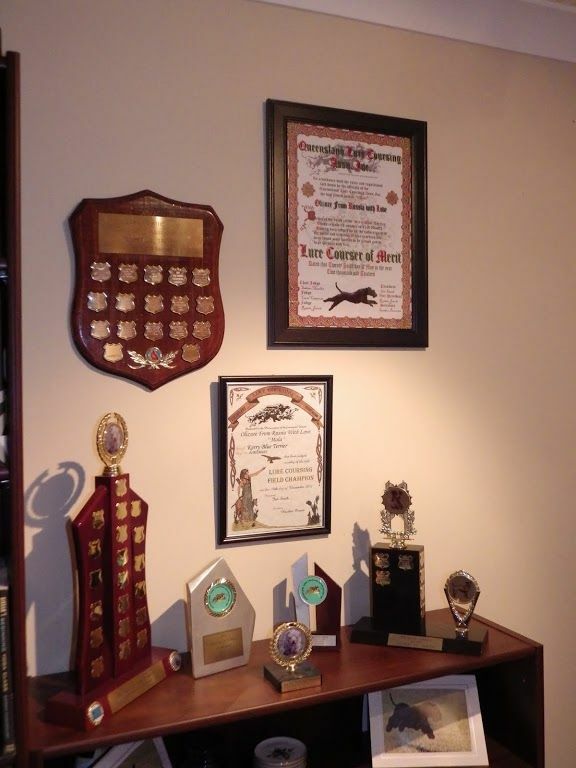 See below for pictures of Mala and her trophies.